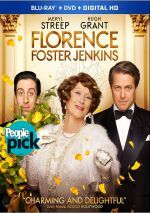 In the same vein as 1994’s Ed Wood, 2016’s Florence Foster Jenkins presents a story about a real-life creative artist known mainly for a lack of talent. Set in the 1940s, New York City heiress/socialite Florence Foster Jenkins (Meryl Streep) supports the fine arts and feels that a war-torn world needs music more than ever. Florence also believes that she boasts the singing talent to bring opera to the masses. Florence works her way to Carnegie Hall despite her obvious absence of singing ability. Aided – and protected – by her manager/husband St. Clair Bayfield (Hugh Grant), we follow Florence’s journey to the big time. Now close to her 70th birthday, it seems more surprising when Streep doesn’t get an Oscar nod than when she does. Nominated a remarkable 19 times, Streep received Academy love every year between 2007 and 2015 except for 2008, 2011 and 2013. Will Jenkins add to that string and get Streep her 20th nomination? Probably, and I wouldn’t call this undeserved, but I do think Florence represents semi-“lesser” Streep. That’s less the fault of Streep and more due to the requirements of the script – or lack thereof. Despite the film’s title, Florence doesn’t really serve as the movie’s focal point. While she acts as the person who motivates everything that occurs, she borders on supporting character. Instead, St. Clair takes the lead most of the time, and I agree with that decision. Given his role as Florence’s protector and best friend, he shows the more obvious range of emotions. St. Clair realizes Florence can’t sing, but he never betrays that, and he ensures that his wife remains defended from as many slings and arrows that aim her way. This allows St. Clair to give us the more involving personality, and Grant brings him to life well. He forgoes most of his usually fluttering, stammering tendencies to make St. Clair a rock-solid admirer and protector of his wife. Grant allows the part some comedy but delivers the dramatic goods as well. As for Streep, she takes a page from the Margaret Dumont playbook for her semi-broad performance. While Streep veers toward the character’s more outrageous side, she avoids simplistic comedy, and one never senses that she laughs at the character. That goes for the movie as a whole, to its credit. Like Ed Wood, Jenkins recognizes its lead’s manifest absence of talent, but it applauds the creative spirit. Florence may not be able to sing, and she may not realize that she can’t sing, but she boasts a pure love of her art, and that makes her a sympathetic, endearing personality. In the end, Jenkins provides a modest pleasure, as it never becomes a particularly insightful or exciting character piece. Nonetheless, it does entertain, and it gives us an endearing tale of an unlikely musical celebrity. Florence Foster Jenkins appears in an aspect ratio of approximately 2.35:1 on this Blu-ray Disc. Across the board, the transfer looked good. Overall definition seemed positive. A few wider elements betrayed a sliver of softness, but the majority of the movie appeared accurate and concise. I noticed no signs of jaggies or edge enhancement, and shimmering was absent. The film lacked print flaws and seemed clean. Many period pieces opt for subdued palettes, and that was true here. The colors tended toward golden tones, with some teal along for the ride as well. These appeared fine within the film’s stylistic choices. Blacks seemed dark and tight, and shadows demonstrated good clarity. This added up to a satisfying presentation. A character drama wouldn’t seem to be a candidate for a whiz-bang soundtrack, and the DTS-HD MA 5.1 audio of Jenkins fell into expected realms. A few scenes – concerts, parties, street exteriors. – used the various channels in a positive manner. Usually the track remained oriented toward ambience, though, so don’t expect lots of sizzle from the mix. The disc brings us a few extras, and these open with a featurette called ”Ours Is A Happy World”. In this five-minute, one-second piece, we hear from director Stephen Frears, screenwriter Nicholas Martin, and actors Meryl Streep, Hugh Grant and Simon Helberg. The show offers an overview of story/characters. Don’t expect more than just a general summary in this forgettable piece. Next comes The Music and Songs of Florence. It goes for four minutes, one second and features Streep, Helberg, Grant, musical director Terry Davies and composer Alexandre Desplat. The show brings us a look at the movie’s musical performances. It’s short but mildly informative. During the three-minute, 43-second Designing the Look, we hear from costume designer Consolata Boyle, production designer Alan MacDonald. As implied by the title, this show looks at set and costume design. It’s too short to tell us much, but it adds some good nuggets. From Script to Screen takes up four minutes, 18 seconds and includes info from Martin, Frears, Streep, Grant, Helberg, producer Michael Kuhn, and actors Nina Arianda and Rebecca Ferguson. The featurette gives us basics about characters and cast. It lacks much substance. After this we head to the film’s world premiere. The reel lasts one minute, 58 seconds and shows the action on the red carpet. Programs like this tend to be snoozers – and that proves true for this forgettable clip. A Q&A with Meryl Streep fills 16 minutes, 16 seconds and offers a public chat with the actor. She discusses her character and performance, costumes and music, and inspirations. While Streep presents a charming personality, we don’t learn much from this talk. Live at Carnegie Hall occupies 10 minutes, nine seconds and presents comments from Carnegie Archives and Rose Museum director Gino Francesconi and documentarian Donald Collup. We get some history of Carnegie Hall, with an emphasis on Jenkins’ appearance there. Nothing exceptional appears here, but we get a smattering of interesting notes. Four Deleted Scenes add up to six minutes, eight seconds. We find “Maestro Orlando!” (0:35), “Backstage Valkyries and Mrs. Vanderbilt” (1:09), “Running Errands with Biassy” (0:36) and “Queen of the Night” (3:48). As implied by those running times, only “Queen” offers anything mildly extended. That doesn’t make it stimulating, though, as it just shows more of Florence at Carnegie Hall. 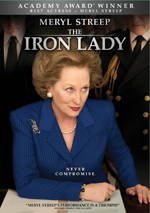 We get enough of that in the final film, so “Queen” fails to add anything noteworthy. The first two offer minor extensions to parts of the movie’s opening, while “Errands” lacks any obvious merit. All three seem pretty superfluous and forgettable. A second disc provides a DVD copy of Jenkins. It includes none of the Blu-ray’s extras. As a view of an infamous no-talent, Florence Foster Jenkins avoids cynicism and mockery. Instead, it emphasizes its lead’s love of art and becomes a fairly sweet appreciation of this pure spirit. The Blu—ray brings us very good picture as long as acceptable audio and mostly mediocre supplements. Though not a great flick, Jenkins offers a likable experience.